As already anticipated in a press release and in my interview with site owner Nikola Savić, the 13th instalment of ProgSphere’s Progstravaganza compilation series has been released on August 12. The sampler (with cover and booklet artwork by Chris Van der Linden of Linden Artwork) features 76 tracks by bands from all over the world (including a few that have been covered on this blog), representing the best of the modern progressive rock scene. The compilation is available as a free download from ProgSphere’s Bandcamp page. As Nikola and his collaborators are planning to reach compilation # 15 by the end of 2015, submissions for Progstravaganza 14 are already open: any bands or artists interested in submitting a track can contact Nikola at info@prog-sphere.com. The new sampler is expected for late September/early October. In the meantime, ProgSphere has introduced a new service, a music streaming and distribution platform named Progify. In spite of its rather alarming handle, Not A Good Sign – AltrOck Productions’ own “in-house” band (as guitarist/composer Francesco Zago was one of the label’s founders in 2005) – is set to make waves on the overcrowded progressive rock scene. Although the presence of members of two major modern Italian prog bands (Zago and Paolo “Ske” Botta of Yugen, Gabriele Guidi Colombi and Alessio Calandriello of La Coscienza di Zeno) have led some to use the “supergroup” tag, this band is fortunately quite a different animal, bringing together Altrock’s two complementary sides – its signature cutting-edge bent and a fresh, modern twist to classic prog modes. The result is one of the most impressive albums released in 2013 so far. Not a Good Sign developed from an idea by Botta, Zago and AltrOck mainman Marcello Marinone. Calandriello and Guidi Colombi were asked to join in 2012, and drummer Martino Malacrida put the finishing touch to the lineup. The band’s live debut took place in June at the AltrOck/Fading Festival in Milan, a few days before their self-titled album’s official release, Writing credits are shared by Botta and Zago, with assistance from Guidi Colombi on one track. The band’s name reflects the current economic and political climate of Europe and its impact on people. This not exactly optimistic outlook is also reflected in the lyrics, penned by Zago, whose tense, brooding mood and use of strong imagery hints at Van Der Graaf Generator. 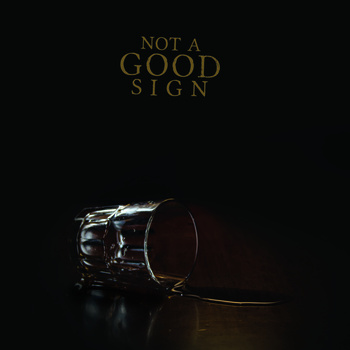 As other reviewers have pointed out, the most immediate comparisons that come to mind when first listening to Not A Good Sign are Swedish prog giants Änglagård and Anekdoten, and the band certainly approach classic prog with a similar attitude, avoiding the overt imitation that mars the opus of other modern bands. As in the case of both those bands, the influence of King Crimson looms large over Not A Good Sign’s sound (something that Botta and Zago have readily admitted to), though their Italian heritage smooths out some of the sharper edges. Indeed, though the album was entirely recorded in English, it also possesses a uniquely melodic touch that tempers the angularity of the heavier sections, embodied by Alessio Calandriello’s clear, versatile voice. In spite of his obvious Italian accent, he does a great job in interpreting Zago’s moody lyrics, his voice blending perfectly with the instrumentation. Drummer Martino Malacrida (the only unknown quantity of the band) proves himself an accomplished rhythm machine, tackling complex patterns with aplomb and remarkable synergy with Gabriele Guidi Colombi’s powerful yet elegant bass lines. Zago’s guitar – in full-blown rock mood, displaying a different side of his artistic personality – and Botta’s impressive array of vintage keyboards reveal the ease born of a long partnership, sometimes embarking in exciting, Deep Purple-style duels. Not A Good Sign admirably balances the vocal and the instrumental component, the latter often capitalizing on the main composing duo’s experience in the Avant-Prog field. Opener “Almost I” pummels the listener into submission with its explosive Crimsonian intro, its heavy, doomy riffing bolstered by keyboards, and an overarching Gothic feel. “Almost II”, led by Calandriello’s melodic, well-modulated voice assisted by discreet guitar and piano, temporarily releases the tension built up by the previous number; while the almost 8-minute title-track (the longest song on the album) introduces an element of jagged dissonance, intensified by Calandriello’s high-pitched tone and dramatic organ with hints of Goblin – an intricate, deeply cinematic piece that sums up the band’s musical vision. The instrumental “Making Stills” lulls the listener at first with its subdued, sparse texture, then suddenly turns brisk and urgent, culminating in a crescendo in which all the instruments strive for attention. Accompanied by acoustic guitar and glockenspiel, the ethereal voice of North Sea Radio Orchestra’s Sharron Fortnam weaves her magic in a riveting rendition of John Donne’s poem “Witchcraft by a Picture”, sandwiched between two intense, riff-laden sections that would not be out of place on a Black Sabbath album. The following two tracks, “Coming Back Home” and “Flow On”, are strongly vocal-oriented – the former almost catchy in spite of the rather depressing lyrics, the latter providing a showcase for Malacrida’s assertive drumming and Botta’s Genesis-inspired Moog sweeps. With the sinister “The Deafening Sound of the Moon”, the band pack a lot into barely over 4 minutes – King Crimson-like angularity followed by imperious organ slashes and sharp riffs intersecting with the vocals, then mellowing out with a melodic guitar solo reminiscent of Steve Hackett’s style. Then, in the short, atmospheric finale of instrumental “Afraid to Ask” Maurizio Fasoli’s piano ebbs and flows, with sudden flares of guitar-driven intensity on the steady backdrop of Bianca Fervidi’s somber cello. Unlike most traditional supergroups, who are often much less than the sum of their parts, Not A Good Sign deliver in spades, combining outstanding technical skills with above-average songwriting. Clocking in at a mere 51 minutes, the album (mastered by Udi Koomran with his usual skill) is very cohesive, and avoids the pitfalls lurking behind overambitious, epic-length pieces. With their debut, Not A Good Sign prove that paying homage to vintage prog does not mean descending into the near-plagiarism of many albums released in the past few years. No review of an album featuring Paolo Botta would be complete without a mention for his artwork, and here he has truly outdone himself – the gorgeously minimalistic shots of vintage glassware emerging from a pitch-black background the polar opposite of the overblown, fantasy-themed art often associated with prog. Highly recommended to everyone, no matter what their prog “affiliation”. Chicago-based band Marbin, founded in 2007 by Israeli-born Dani Rabin (guitar) and Danny Markovitch (saxophone), and cleverly named by conflating their two surnames, have the distinction of being one of the busiest outfits on the current non-mainstream music scene. Indeed, with hundred of gigs a year under their belt, they have even found the time to produce a video tutorial on “How to Make a Living Touring With Your Band”. Though Marbin started out as a duo, independently releasing their self-titled debut in 2009, by the time they were snapped up by Leonardo Pavkovic’s Moonjune Records (which released their sophomore effort, Breaking the Cycle, in 2011), they had become a full-fledged band, a quartet that availed itself of the collaboration of two experienced jazz-fusion musicians such as Pat Metheny alumni Paul Wertico (drums) and Steve Rodby (bass). 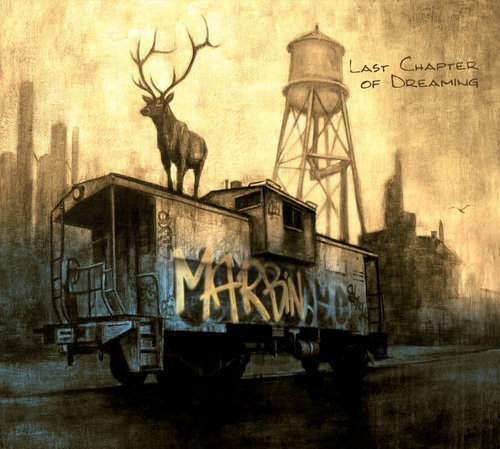 Two years later, Marbin are back with Last Chapter of Dreaming, recorded with drummer Justyn Lawrence and bassist Jae Gentile, who have been part of Marbin’s live incarnation since 2008, plus a host of other musicians. Wertico and Rodby are still on board as special guests, together with percussionist Jamey Haddad, who was also present on Breaking the Cycle. Among the rather lengthy list of collaborators, prog fans will recognize the name of District 97 keyboardist Rob Clearfield, who guests on one track. Though the album is very much a team effort, very cohesive from an instrumental point of view, Rabin’s guitar and Markovitch’s sax steal the show with their scintillating interplay, denoting the ease that comes from a long partnership coupled with the sheer enjoyment of music-making. Unlike the band’s previous effort, which featured a traditional song, on Last Chapter of Dreaming vocals appear only in the shape of wordless vocalizing; while the addition of other drummers and percussionists lends an appealing sense of dynamics to the two mainmen’s exertions. The final product is a very sophisticated mix of rock, jazz and blues with hints of world music, though in some ways not as successful as the band’s previous two albums. Especially if compared to Marbin’s debut – an exquisitely minimalistic production that made the most of Rabin and Markovitch’s impressive skills – Last Chapter of Dreaming, at least in part, takes a sharp turn in a more mainstream direction, a trend that had already surfaced in some episodes of Breaking the Cycle, though not as noticeably as here. In particular, the handful of tracks featuring vocals veer dangerously close to easy listening. While “Breaking the Cycle” (oddly enough, not featured on the album of the same title) is given a dramatic, cinematic sweep by Victor Garcia’s wistful trumpet, the airy, lullaby-like “Café de Nuit” oozes a nostalgic Old-World feel, and both “Purple Fiddle” and the title-track – with their slow, laid-back vibe – put me in mind of a slightly cheesy soundtrack for some European Seventies movie. The more rock-oriented tracks see Marbin at their best, such as pyrotechnic opener “Blue Fingers” with its assertive, metal-tinged riffing and energetic sax, the brisk, Hammond-laced “On the Square”, and the jazzy rock’n’roll workout of “Redline” (also enhanced by discreet Hammond organ). The exhilarating “Volta”, shifting from a melodic, laid-back mood to frantic, riff-laden bursts of energy complemented by a Morricone-influenced cinematic grandiosity, is one of the undisputed highlights of the whole album – as is the subdued “The Ballad of Daniel White”, showcasing Justyn Lawrence’s superb drumming. With 14 rather short tracks spread over 55 minutes, Last Chapter of Dreaming avoids overstaying its welcome as other, more ambitious albums do, though some of the tracks might have been omitted without too much detriment. Though a classy offering, flawlessly performed by a group of outstanding musicians, it is not as organic as its predecessor, and flirts a bit too closely with smooth jazz to find favour with lovers of the more challenging fare generally released by Moonjune Records. The album makes nevertheless for a very pleasing listening experience, and a special mention is deserved by the stunning cover artwork, courtesy of Portland-based artist Brin Levinson (also responsible for the cover of Breaking the Cycle, as well as Dissonati’s debut Reductio Ad Absurdum). Websites dedicated to progressive rock seem to be multiplying these days, with a host of newcomers joining the more established resources such as ProgArchives or DPRP. Most of them are operated by a team of people who devote their free time to their favourite music, providing reviews, news and other items of interest. ProgSphere – the brainchild of Serbian-born Nikola Savić – was first conceived as a glorified blog, manned by a handful of volunteers, but has since expanded into a much more ambitious operation than a mere repository for reviews, interviews and assorted news items. As a supporter and frequent contributor to the site, it was a pleasure for me to have Nick answer some questions about how the site came to be, and how it gradually developed into what it is today. First things first… How did you get the idea for your website? I have always been interested in running websites where I can talk about the music. It’s funny because music journalism is totally my kind of thing, but I decided to approach totally different professional career. My first website, called Metal Explosion (back in 2003), was a metal dedicated webzine, and after that I contributed for a few Serbian music web and magazines. Some time during 2004, the whole world of progressive rock entered my life, and I listened to the likes of King Crimson, Camel, Jethro Tull, Yes almost maniacally. In late 2009 I got an idea of creating a website that would serve as my look on progressive rock. In February 2010, I created a Blogger account (http://prog-sphere.bandcamp.com) and, besides the few reviews I already had written with the help of my friend Dan (Thaler), we conducted an interview with Andy Tillison of The Tangent. In the beginning we were mostly focused on interviews, but later we started writing about albums (both classic and contemporary). Meanwhile, we moved to a paid domain and hosting (www.prog-sphere.com), and the website slowly shaped into a standard news/review/interview portal. As I pointed out in the introduction, progressive rock websites seem to be a dime a dozen these days. When you first started ProgSphere, did you set out to be different from what was already available? Did you have ambitious plans for your site right from the start, or was it something that developed gradually, after you realized there was a positive response to what you were doing? As I said, in the beginning it was only about interviewing my favorite bands. But with time I saw that there is plenty of space for progress. The response from progressive rock fans on what we did was really great, and, to keep that feedback always high and positive, we introduced many different features. The Progstravaganza compilation series is one of them. As one of the so-called “Millennials”, you did not grow up with prog as most fans of the genre (including myself) did. How did you get into this kind of music, which is not exactly hip or popular with the younger generation? I’ve been surrounded by music since my childhood. My father introduced me to many good bands/singer-songwriters he used to listen to in the late 60’s and early 70’s. During my teenage years I mostly listened to metal, exploring absolutely every subgenre this genre has given over the decades. Whether it’s traditional heavy metal or the most extreme subgenres such as black-death metal, I enjoyed that music. But then I (re)discovered that progressive rock world through my father’s record collection, and since then I have (mostly) been stationed in this wonderful genre. I never cared about what is popular. Maybe that’s why some of my friends considered me a codger, haha! Is there a prog scene in your home country of Serbia? What about the neighbouring countries? Do you have the opportunity to go to concerts, or do you have to travel abroad if you want to see live music? Serbia is lacking in progressive rock concerts; there are no promoters who would take the risk of bringing any prog bands – for obvious reasons. There are few jazz festivals with tradition and they are struggling every year to manage the organization. Most people are traveling to Zagreb, Budapest or Sofia to see bands in live. A couple of years ago you introduced ProgSphere Promotions to help up-and-coming bands and artists gain more visibility on an already overcrowded scene. Has it really worked in this sense, or do you think things could be improved? Another of of the site’s strong points, in my view, is the availability of podcasts and compilations – another means for artists to achieve visibility and attract more fans. While podcasts are far from uncommon, compilations are much rarer. How did you get the idea, which has been very successful so far? The Progstravaganza compilation series is the thing I am most proud of. 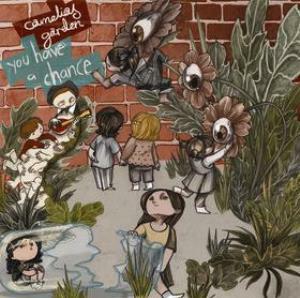 Introduced back in 2010, the idea was simply to give people something actual, something to explore and enjoy and, at the same time, to give the bands some sort of recognition for what they do. I was spending a lot of my time searching for new bands, and it led me to start releasing the compilations. With the help of my friends, graphic designers Pahl Sundstrom (Klotet, Vallebrad, Usurpress) and Chris van der Linden (Fourteen Twentysix, Bow) who provided their skills in contributing cover arts and booklets, we showcased more than 100 bands from all over the globe. So far, we released 12 samplers and one “best of” compilation (with tracks from the first nine samplers that were originally available as lossy mp3 downloads), and reached over 25,000 downloads. And right now I am working on the 13th part, which should be released next week. Now, besides the compilation itself, we have a separate mini-site where we put basic information on the bands in addition of reviews, interviews or any other special features. The compilations are available for free from Bandcamp, so make sure to check out our page at http://prog-sphere.bandcamp.com if you haven’t already. As for the podcasts (or, as we call them, AwesomeCasts), it seems like it’s a trend now, so we decided to go with the flow instead of being trendsetters, haha. While keeping a healthy balance between vintage prog and newer music, ProgSphere seems to have a definite bias towards metal – which can be a turn off for older fans. What is your take about the importance of metal in the development of the modern progressive rock scene? Metal is very important for the progressive rock scene. It comes naturally that many contemporary bands base their sound on metal and if well implemented it can sound really great. As an example I would mention Norwegian proggers Leprous. These guys do absolutely everything right in mixing progressive rock with metal. My opinion is that the future of progressive rock scene will largely be based on this genre, as these two genres have a lot in common. No matter if it will be metal or any other genre, progressive rock needs to change. It is in the genre’s nature to evolve, no? I have to say that Prog Sphere (including Prog Sphere Promotions) is NOT only about progressive rock or progressive metal, as some people would think. It happened to me that, after sharing a post on Facebook about a band that is not related for progressive rock/metal, somebody commented saying that it’s not prog. We do not limit ourselves to writing only about Rush or Jethro Tull. There is a whole new world waiting to be explored, and that’s what we do – explore. ProgSphere can also boast of a roster of fine reviewers. How do you “recruit” them, so to speak? I love reading any kind of reviews, especially music reviews. And when I see that a reviewer is really into it, without any hesitation I get in contact and ask if he/she would be interested to contribute for Prog Sphere. That’s how I did with you, Roger, Conor and other Prog Sphere reviewers. I prefer “descriptive” reviews rather than ones that strictly require having a release rated with stars, numbers or percentages. And now for a rather tricky question… What, in your opinion, are ProgSphere’s strengths if compared to other large prog websites? And what would you like to improve? I think we are not snobs like some other large websites. We are treating all the bands equally, no matter if it’s Rush or Gösta Berlings Saga. Some of those large websites will only write about bands / artists that are a commercial success, and that will bring visitors (readers) for commercial purposes. I’m not going to poke anyone in the eye; there is enough on the Web for everyone. We have always been driven by enthusiasm. Speaking about improvements, we are in constant motion. Adding new features on the website (I am currently working on getting some big names of the scene to write occasional columns for Prog Sphere) is something I am trying to achieve all the time. The website is largely lacking in interviews and it would be really great to have someone who would only work on this. Other than that, what I would really love to improve is the performance of the website itself, speaking from the technical aspect. My plan is to move to a dedicated server hosting plan in the near future. What are your plans for the future? Have you ever thought of branching out into the organization of festivals or similar events? 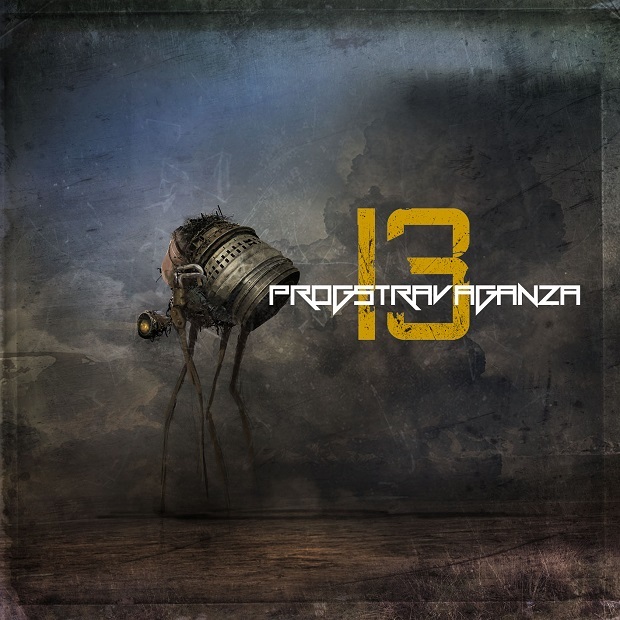 First things first… The new Progstravaganza compilation is about to hit the Internet shores. After that, sometime in August we will be unleashing the Progify service, which will closely be connected to our work with Prog Sphere PR. There are some talks about releasing another digital release on our netlabel Prog Sphere Records, but I cannot say anything more on that as everything is still under negotiation. Perhaps in the future Prog Sphere will be involved more in music publishing. Time will tell. 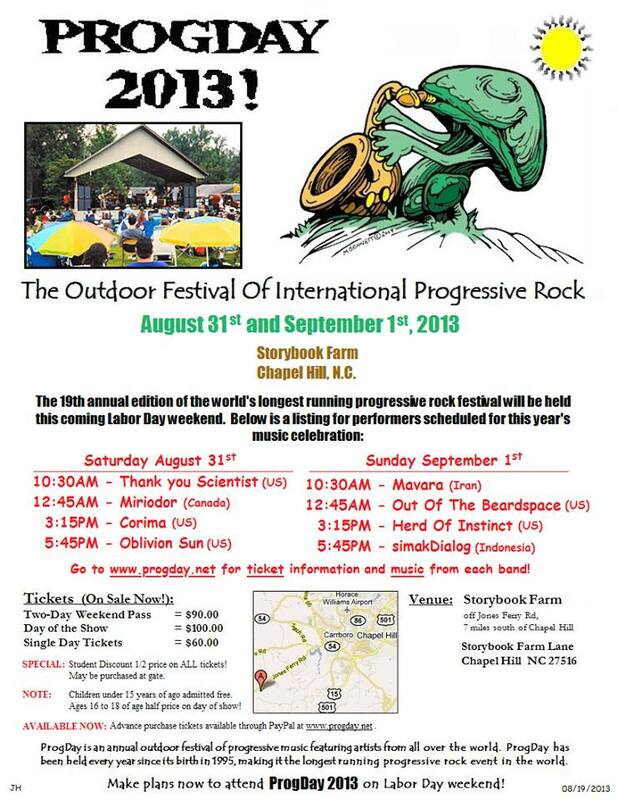 It has always been my plan to organize a festival under the Prog Sphere name, but due to my frequent movings from Serbia to Turkey it simply couldn’t be done so far. I have some thoughts for putting together an event in 2014. It’s a delicate process to have an event like that organized on a high level. Maybe we will be asking people to pledge through the crowdfunding campaigns and help us in organization, but for now it’s all under a huge question mark. However, there’s a lot going on and we will be taking one step at a time to achieve our goals. I would love to thank everyone for supporting Prog Sphere over the years. And special thanks to you, Raffaella, for having me interviewed for your website. It’s great to see with how much devotion you work on it, there are many people who appreciate it. Keep up great work! Thank you for your time and patience, and best wishes for all your future endeavours!